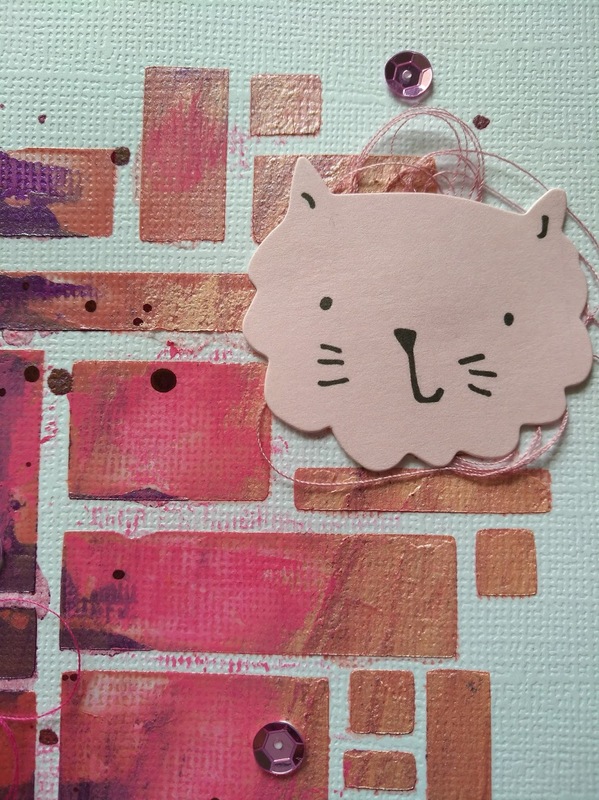 All About Animals" - include an animal somewhere on your layout - it can be in the photos, a sticker/embellishment, patterned paper, etc. And I have to say: this really challenges me! We have no pets and I unfortunately have no picures of my kids playing with the neighbours cat (I think, the next time, I have to take some! ;-) ) So, I decided to use a picture of my daughter and use some animal-embellishments. 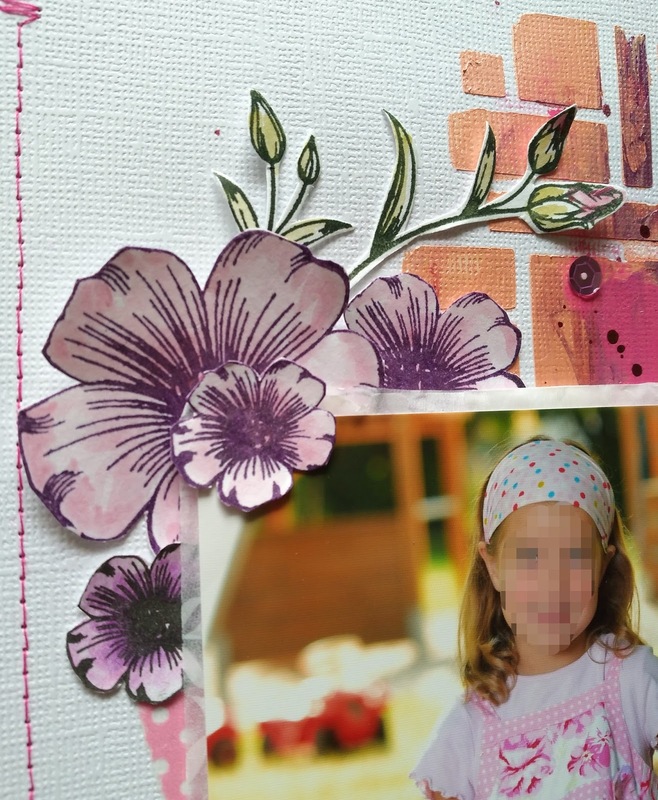 I wanted to create a girly pink layout with mixed media. So I first cut out a stencil from a cut file from just nick. 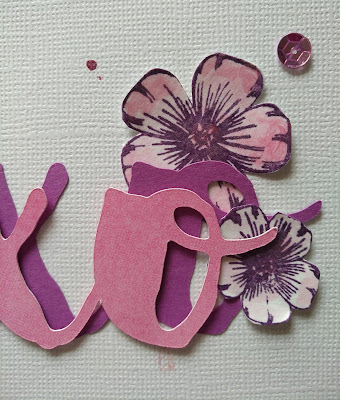 How to create your own stencil - you can find here. Then I used this stencil to smudge some lilac and pink nuvo-embellishment-mousse and acrylic paint on my background. For more girly flowers, I used a very colorful paper from my stash, cut my white cardstock smaller and backed it with the patterned paper. Then I machine stitched the two papers together. 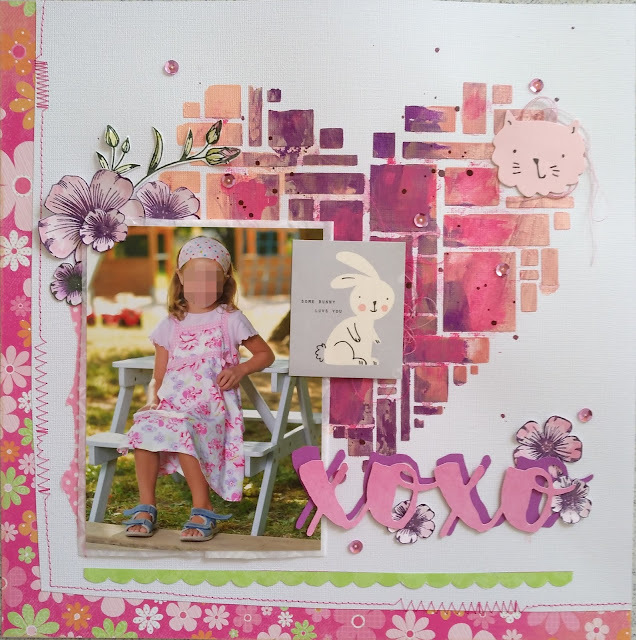 For decoration I used some embellishments (cat and rabbit) and some cherry blossoms from SF-Stamps. Was für ein süßes und wunderschönes LO, liebe Denise! Schlicht, aber trotzdem verspielt. Nicht zu viel und nicht zu wenig, so kommt die süße Maus perfekt zur Geltung. Eine traumhafte Art und Weise, dieses Moment festzuhalten.